The fall season is upon us and that means we’re surrounded by stunning coloured leaves, pumpkin-spice everything, and the most spooky haunted houses. We’ve rounded up some of the essential fall things to do so you can truly make the most of the season. Get ready to fall head over heels in love with autumn in Prince Edward Island. How many will you tick off the list? 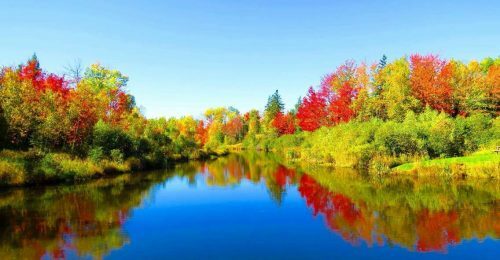 When autumn is in full force, everywhere you turn you’ll find awe-inspiring colours of nature. 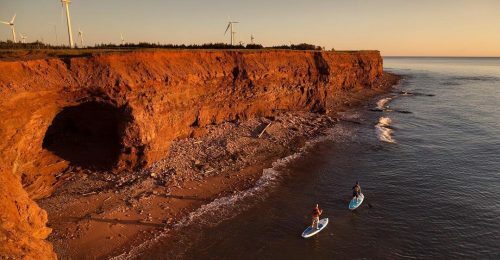 Deep golds, bright oranges, and vibrant reds make PEI a haven for photographers and nature lovers alike. If you switch up your perspective and take the roads and rivers less travelled, you’re sure to find some incredible views. Locals recommend hiking at Robinson’s Island, biking on the Confederation Trail, and paddling down the peaceful Bonshaw River. Much of the Island’s produce is harvested between August and October so farmer’s markets and restaurants are absolutely brimming with locally sourced flavours. PEI potatoes and fresh pumpkins dominate the culinary scene. Take full advantage and make a famous PEI Potato Pie, pair it with Gahan Pumpkin Ale and top it all off with Chef Michael Smith’s Pumpkin Pie Tarts. If you’re a fan of Halloween, there’s nothing you love more than emracing all things haunted. Get thoroughly spooked this year by visiting one of Prince Edward Island’s haunted houses …if you dare! Head to Kensington for the Haunted Mansion’s Nights of Fear, or to the Cavendish Beach Adventure Zone for The Route 6 Motel Haunted Experience where things have taken a very eerie shift. …Yes, you heard that right! 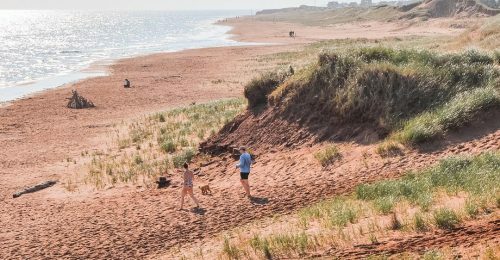 PEI is known as a top beach destination, and that doesn’t change as the weather grows cooler. Take advantage of these quieter beach days where you’ll likely have the whole place to yourself. Go for a walk, explore the sand bars and hidden caves, and don’t forget your camera! 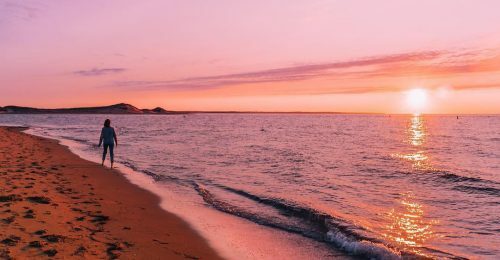 Check out PEI’s must-see beaches here. It’s been said that Prince Edward Island’s world-renowned courses are in their prime in the fall. With pristine conditions and scenic views, a round on the Island will be one you won’t soon forget. With the fairways at Fox Meadow Golf Course just minutes from Charlottetown, this is an easy one to tick off your list if you’re in the area! One of the best ways to embrace the changing seasons is to hop in your car and drive down one of the Island’s unique winding roads. You’ll want to be sure that while cruising down the twists and turns you drive a little slower to take it all in. Try one of the PEI’s coastal drives or any one of our many red dirt roads for the ultimate photo op. 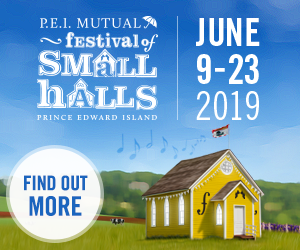 Find more information on PEI’s backroads here. 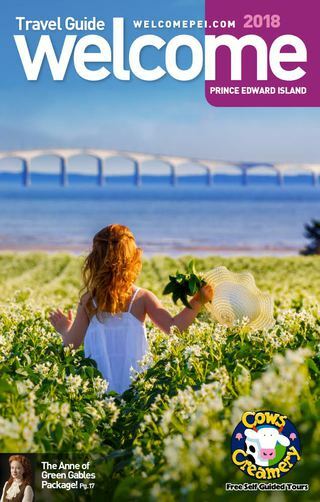 For more things to discover on PEI, check out Unique PEI Experiences, 13 Things to Do with Your Kids, and What the Locals Say You Can’t Miss.